The introduction of increasingly sophisticated machinery to manufacturing operations has greatly increased productivity, but the automated milling and grinding has increased the risk of fire, especially when oil-based lubricants are involved. Today, uptime and being operational are everything. Losing even a day of productivity can mean losing a valuable contract or customer—not to mention damage to or loss of a machine, which can cost your business tens or even hundreds of thousands of dollars. Firetrace has protected over 15,000 CNC and EDM machine shops from the consequences of fire. Our in-house experts can work with you to help determine the best solution for your specific application needs. 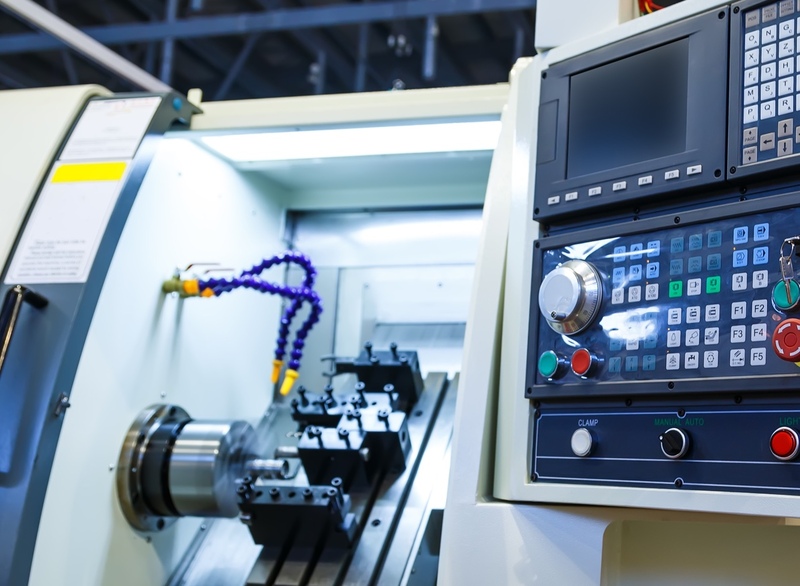 As CNC machines have become a fixture in precision machining applications and facilities worldwide, many manufacturers have turned to oil-based coolants to help achieve the most precise machining techniques for their automotive, medical, aerospace, robotics, and other precision manufacturing needs—increasing their risk of fire due to the oil mist that forms during the machining process. Fires in EDM machines frequently result from a drop in oil level. When this occurs, the large supply of coolant oil and oil vapor can burst into a major fire in moments, destroying an expensive machine and threatening lives and property. To combat EDM fires, the red Firetrace Detection Tubing (FDT) can be placed unobtrusively on the ram just above the oil surface. This placement offers detection directly at the area of risk, providing superior EDM protection. Currently, more than 5,000 EDM clients are using our suppression systems as a reliable and cost-effective solution. Dust and mist collectors are essential for maintaining a clean, safe work environment. However, in many shops and factories, these collection units can be very susceptible to fires. The placement of our red Firetrace Detection Tubing (FDT) allows our systems to work effectively in enclosed environments, providing immediate detection at the source. Once a fire is detected, the system will deliver a fire suppression agent either directly into the collection media or upstream in the dust collection system. This allows the airflow to draw the agent into the filtration system or collector.